Located on the outskirt of Hanoi, Bat Trang Ceramic Village is a traditional ceramic village with the history of seven centuries which is well known for high-quality ceramics. 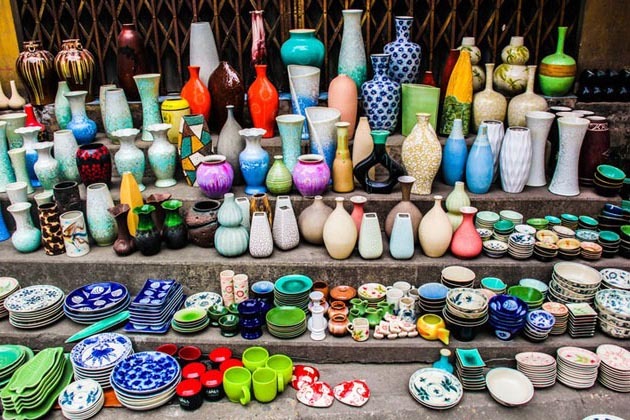 If you have a chance to visit charming Hanoi capital, do not miss Bat Trang pottery village which hides a ton of interesting things waiting for you to explore. Here is some useful information about this special handicraft village we want to share with you. Enjoy reading! In several documents, Bat Trang Village was established in 14th, but according to the villagers, this village appeared earlier. It is said that in the 10th century when King Ly Cong Uan relocated the capital in Thang Long, many businessmen, crafters from many areas go to settle down there. 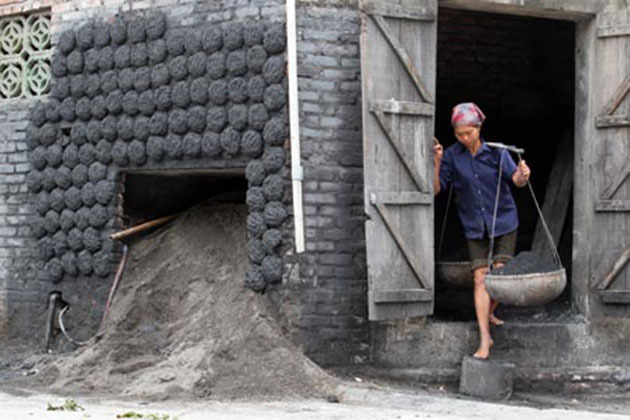 Many potters came and built the kilns in Bat Trang because this village is located in an area rich in clay. As time went by, thanks to the high quality as well as the best style and glaze, the Bat Trang ceramic products have become one of the best ceramic goods of the country. Lying on the edge of the Red River, between Thang Long and Pho Hien which are two ancient trade centers in the north of Vietnam during 15th – 17th century, Bat Trang’s ceramics were favorite products not only in domestic market but also foreign ones thanks to Japan, Chinese and Western trading boats that passed by. 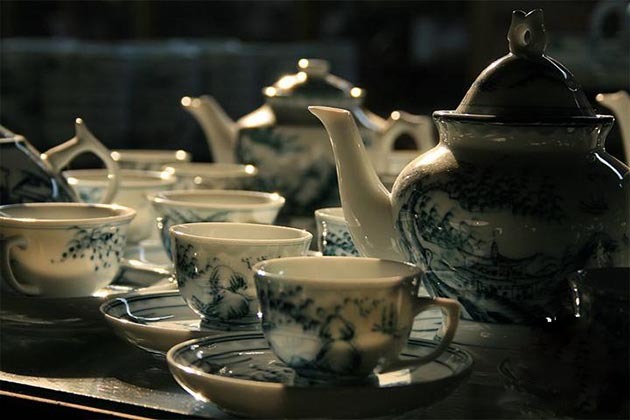 However, in the18th and 19th century, the ceramic products couldn’t be exported to foreign countries because of the restricting foreign trade policy of Trinh, Nguyen dynasty. 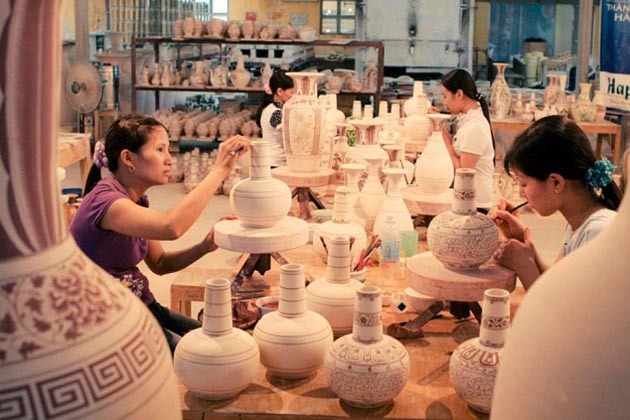 Only since 1986, thanks to economic reforms and development, more attention has been vested in the village and the world gets a chance to know more about Vietnamese ceramics through impressive high quality exported ceramic products of Bat Trang. Nowadays, many ceramic products of Bat Trang pottery village are exported to popular foreign markets such as Japan, the Netherlands, Britain, Portugal, Southeast Asia, etc. With diverse styles and colors, Bat Trang ceramics can be used for daily household use, for decoration purposes and worship. Thanks to the modern techniques as well as the creativity of artisans, now many new products of Bat Trang have been born, and even daily household items may have the beauty like decoration ones. How to Make a Ceramic Product? To create a perfect product, the artisans have to follow 3 steps. Firstly, they have to make the product frame. To have a good frame, they have to choose suitable clay to make it. Then, they will decorate and cover the product with glazes. After being baked for 3 days and 3 nights, the product will be brought out, classified, checked and repaired if it has any mistakes. Making handmade ceramic gifts is the most interesting activities you cannot miss in Bat Trang. Before starting making ceramic products, you will be provided a rotating table and a tray of clay. Shopkeepers will guide you step by step in how to create a simple ceramic product. After that, you can feel free to shape your product. Some shapes like a cup, pot, and bowl are quite easy to make. Then, they will dry your product, it often takes around one hour. Finally, you will decorate it with available colors. The fee for making ceramic goods is about VND 30,000 and the price for a takeaway product is the same. After having fun with making ceramics, you can walk around the village or take part in many entertainment activities like joining a buffalo tour for sightseeing and shopping. Stop by a store to pick up some handmade gifts like necklaces, bracelets, key chains, piggy banks for your friends. You will find many stores in the ceramic village. Enter a store to sample local dishes like rice cakes, cassava bread, hot dogs, grilled sweet potatoes, sugarcane juice, etc. Yummy! Located in Gia Lam district, Bat Trang is easily got by bus. 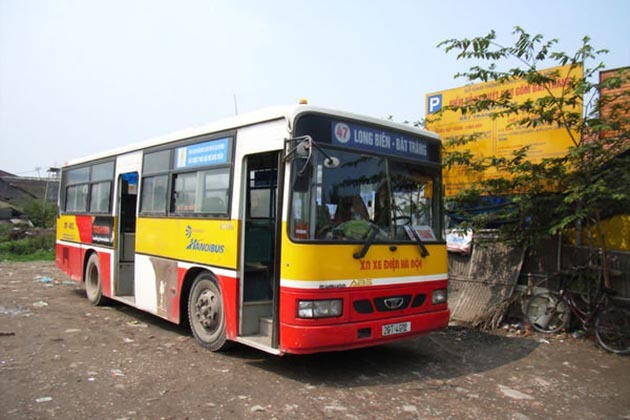 From Dong Xuan market or Long Bien bus station, you can catch the bus 47 to go to Bat Trang village. If you want to drive or cycle yourself, you can rent one. You also can catch a motor taxi or taxi to get there. Bat Trang Ceramic Village is an interesting attraction that tourists should not ignore, attracting more and more foreign tourists who want to understand more about the historical and traditional values of Vietnam hidden in unique handicraft products. 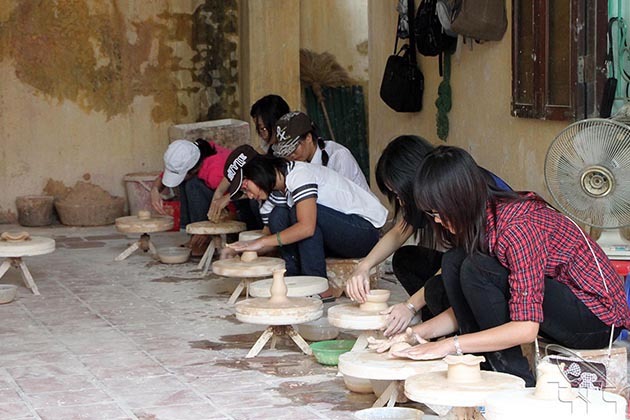 Vietnamese students also often go to this village to try their first hand at making ceramic goods and buy some products as gifts and souvenirs for their friends and family members. 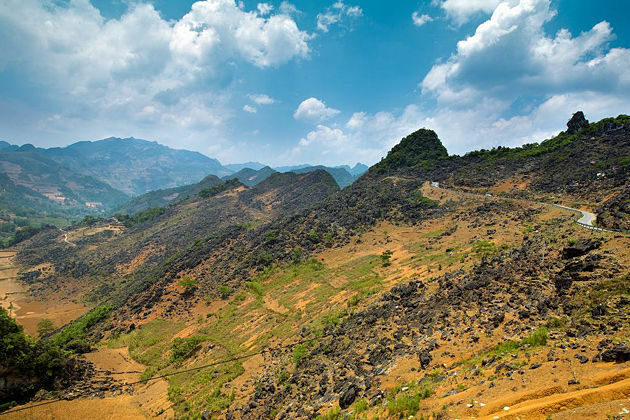 Set your foot on Hanoi to get amazing experiences in this traditional village. 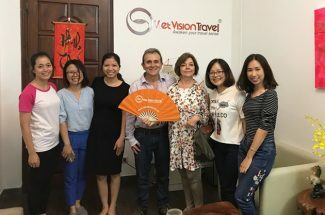 Please feel free to contact us to have a memorable Vietnam vacation.